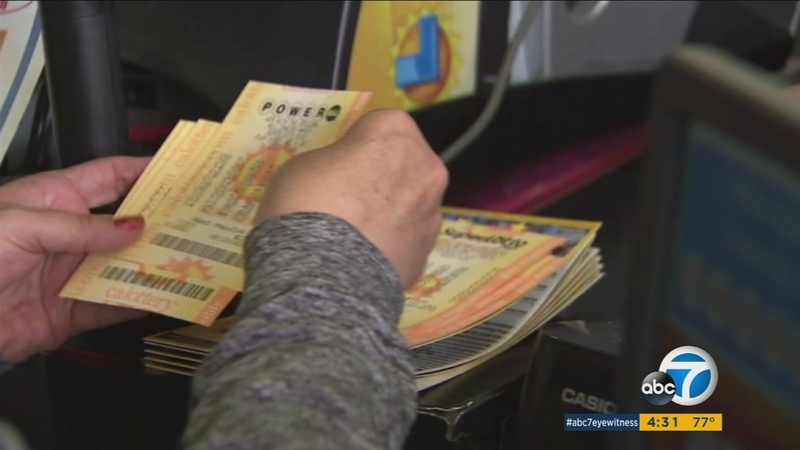 LOS ANGELES -- Lotto fever is alive in well in Los Angeles and all over the country as people take a chance at winning the more than half a billion Powerball jackpot. Many people stopped by a Jacob's Unocal at 3rd Street and Robertson Boulevard in the hopes that some of the store's luck would rub off on them. One customer won more than $600,000 during Wednesday's Powerball drawing for matching five out of six of the numbers. "We are selling a lot actually. I can see a lot of new faces over here...They're buying $100, $200, $300," store manager Sanjoy Ghosh said. But before people set their hopes up too high, the chances of winning are about 1 in nearly 300 million. If those odds are a bit disappointing, you can increase your chances by letting the computer pick your numbers, the chances of winning are significantly greater, according to the multistate Powerball Agency. About 75 percent of winning tickets are selected when the numbers are chosen by the computer, according to the agency. It's the eight largest jackpot in U.S. history, and the winner could walk away with a cash payout of $338.8 million. The winner could also choose to be paid out over 29 years. Powerball is played in 44 states as well as Washington D.C., Puerto Rico and the U.S. Virgin Islands.